Lots of people dream of owning their own business one day, whether this islarge multi-national cooperation or a local business that holds ethics at its heart. However, many will fall at the first hurdle if they haven’t managed to get enough funding to get their start-up off the ground. If you are considering making a business out of what you love, but you are struggling to find the right resources, then it’s a good idea for you to follow these tips so that you don’t fall into the same trap that many others have so often in the past. 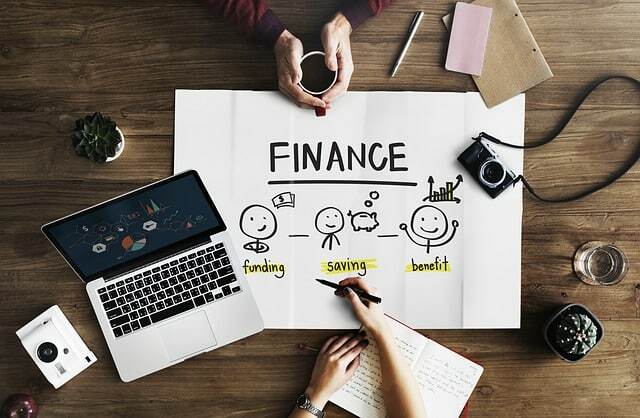 The first step to take before any others is to thoroughly research what financial help you are eligible for from certain foundations and big businesses. These organizations offer grants to start-ups who have a special appeal and align with beliefs they may hold dear to the core of their business. However, people don’t usually hear of them as they are not very well advertised, so it’s worth sitting down and looking properly, as you might stumble upon a gold mine to secure funding with. These days, investing is not as risky as it used to be if you make the right moves to secure a return on your money. It is a difficult task to wrap your head around emerging trends and financial forecasts in the stock market, so it’s wise to use a tool like Ichimoku Cloud trading to help ease you into this new world. Having a resource such as this will help you immeasurably if you want to make money for your business fast, but you should remember not to get carried away on investing if your business and its well-being are at stake. Where some companies will give out grants to start-ups, you can find a more sustainable option by turning to them for support in your early days. Having a similar parent company to give you resources, office space, and more will do more help for your business than a one-off hand out, and you can learn a lot from them during your time with them. These programs are called incubator schemes, and they will often help companies for free, or for a small percentage of their profits when they are helping you get off the ground. Holding a fundraiser is one of the oldest tricks in the book, but it is also an excellent way to build awareness of your brand before you have started to market your products or services. Upgrade the traditional fundraising method by holding an online fundraiser using social media, which will help you achieve a global reach and drum up excitement among your target market. The more people you inspire with your company and its ideas, the more people will be willing to donate to invest in something they believe in. Taking an ethical standpoint and having a flawless marketing campaign for such a fundraiser will raise your chances at success.